We are a family of dedicated caregivers. Safe Haven Home For All aims to give outstanding care services in our home. To do this, we maintain a staff of qualified individuals. We invite you into our home. We invite you into our family. 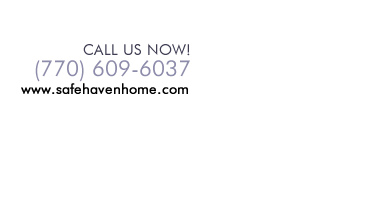 Safe Haven Home For All is a secure and comfortable environment perfect for senior loved ones. Move in with us. Call (770) 609-6037 for inquiries.